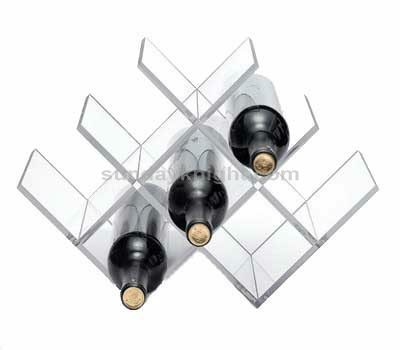 Maybe sometimes you are surprised why the prices are so different for same style acrylic display stands from different suppliers. In fact, the acrylic display price is relative with the acrylic materials. Many acrylic sheet manufacturers are in pursuit of profit, poor production technology, and the production of degradation monomers, the purity is not high, the acrylic sheet quality is low, so their acrylic sheets will be cheaper than high quality brand new acrylic sheets. 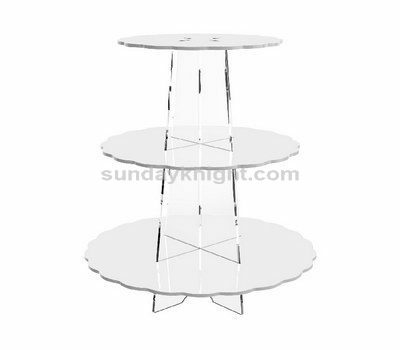 Now professional Chinese acrylic display stands manufacturer Sunday Knight Co Ltd shares some tips for you how to know it is new or recycled acrylic sheets. How do we distinguish whether acrylic sheets are produced from new or recycled materials? What is the difference between new materials and recycled materials? In fact, it is not difficult to distinguish whether acrylic sheets are new or not, as long as we follow below principle. Look: the appearance of the recycled material board is yellow, especially from the cross section. Touch: the surface is easy to scratch. Smells: The stimuli of the recycled material plate are strong when stored, and the scent is generated when cutting. When burning, there is odor, air bubbles, and black smoke. 1. The thickness is stable around 0.2mm to 0.3mm (relative with acrylic thickness), and the acrylic sheet has small bubbles. 2. The thickness is almost the same (but with tolerance range), the surface is crystal clear. 3. Excellent anti-ultraviolet performance, under normal natural conditions, the outdoor is not yellow for 3 years, no fading, loss of light, no cracking. 4. The light transmittance is more than 90%, and the cross section is transparent and colorless. 5. High surface hardness, comparable to aluminum and brass. 6. Excellent resistance to cracking and chemical resistance. 7. High quality protective film to provide adequate protection. 1. The UV resistance is very poor, it will change yellow in half a year, and it is prone to crack under sunlight. 3. The cross section is yellow. Although the returning plate treated by the whitening agent reduces the initial yellowing, it turns yellow after short-term use. 4. The surface hardness is low and easy to scratch. 6. The quality of the protective film is inferior and easy to age and deteriorate.